Book Review: God and the Folly of Faith: The Incompatibility of Science and Religion by Victor Stenger. Victor Stenger wrote recently: “A majority of scientists at all levels do not believe in any god. Yet most are unwilling to challenge the religious beliefs of others.” That’s also my impression. The situation reminds me of our Prime Minister John Key’s reactions to many apparently important questions – “I’m relaxed about that”; “I’m comfortable with the situation” – even when we all know he should be taking problems more seriously. As if this apathy were not bad enough it is accompanied by religious interest in co-opting science. Dan Barker, in his Forward to this book, describes the situation as “theistic mosquitoes buzzing around pretending to understand the science (and only managing to misrepresent it).” A personal experience recently bought this home to me. I did an internet search attempting to locate a specific quote of Galileo’s referring to the importance of deriving scientific ideas from the real world. Almost all the links returned were from theological writings, websites or blogs. I also notice that many theologians and philosophers of religion actively write and comment of scientific philosophy and history. Of course it’s good the theologically inclined take an interest in important fields outside their own. Even comment on them. But the inevitable ideological bias in such writings produces many anti-science ideas and ideologically motivated interpretations of history and philosophy. The apathy of scientists towards these issues means such ideas are not often challenged and sometimes squirm their way into academic writings on science method, philosophy and history. Stenger’s “God and the Folly of Faith” directly challenges many of those ideas. As Barker says Stenger “swats away the theistic mosquitoes”. His “unflinching and uncompromising attitude” and his scientific and philosophical background makes him ideal for the job. And, as the many readers of a long series of books* on science and pseudo science know, Victor Stenger’s writing style means the issues are communicated clearly and understandably. I have often commented that the “warfare model” of science and religion is a myth. That science and religion are not always and everywhere inevitably in conflict. This is the model that some of the theologically inclined attribute to anyone who sees any conflict between science and region. Such an extreme claim is obviously mythical – after all there are many scientists who are also religious. However, scientific and religious epistemology, “ways of knowing” are completely different. This leads to inevitable conflicts when the areas of interest of science and religion overlap. And they do – consider the debates over evolution, consciousness, life after death, and morality. “Modern historical scholars, some with ideological motives of their own” have been sharply critical of Draper’s and White’s books – but in the process have ignored, even covered up, the real ongoing conflict between science and religion. To introduce divine guidance into evolutionary science is to throw away a central part of that science. Faith-plus-reason quickly deteriorates to rationalisation supporting preconceived beliefs. There is no mechanism to keep one honest. Some of the theistically inclined have a habit of claiming their religion (or their god) is responsible for so may things. From the “big bang” to human ethics. From human reason to social laws. And – something that gets up my nose – for modern science. Inevitably this creates conflict. An example are the snearing predictions of the content of “God and the Folly of Faith” made by critics at The Quodlibeta Forum. These included the forum’s administrator James Hannam – Catholic apologist and author of God’s Philosophers and The Genesis of Science: How the Christian Middle Ages Launched the Scientific Revolution ). Their predictions were wrong – because they relied on their own mythology about science, the history of science and atheism. Their active promotion of the myth of the conflict myth. By this I mean the habit of some students of history to vilify anyone who disagrees with their ideology-based histories as promoters of the “conflict thesis” – the idea that science and religion are always and inevitably in conflict. Of course the real world is not like that. Religion and science may be epistemologically exclusive but they are not always and inevitably in conflict. Nor is an author who writes about the history of science and religion guilty of promoting the “conflict thesis” because they are a scientist (rather than historian) or not a card-carrying religious apologist. “placing limits around as subject is not the same as being against it.” The condemnations “protected natural philosophers from those who wanted to see their activities further curtailed . . philosophy was safe to develop in peace and without fear.” (from “God’s Philosophers”). “Although the Inquisition had worked out what we today call a “plea agreement” that would have left Galileo with little more than a slap on the wrist, the Pope intervened in his case, and in 1633 Galileo was tried by the Inquisition, found guilty, and sentenced to house arrest. It’s true that much of Galileo’s behaviour must have been provocative, but any balanced consideration should also include the pressure on Pope Urban to make an example of Galileo – hence his intervention. These included personal opposition within the Vatican as well as the reformation and the religious wars. Reading the history of science one becomes aware of an ongoing battle between ideas driven by evidence and reason, and those driven by faith, even when reason is used. And if we look around today at the debates over consciousness, evolution, climate change, etc., we see that the battle continues. It didn’t stop with Galileo and the blossoming of the modern scientific revolution. The science-religion conflict is not just a matter of history. He doesn’t think this will be achieved “in the lifetime of the youngest amongst us.” But it is required for the survival of humanity. Personally I think that a certain amount of wishful thinking, faith and irrationalism is probably inherent to being human. It is certainly expected from human diversity. Perhaps this issue is not the final eradication of “foolish faith” but its minimisation and/or neutralisation with its accommodation by the rest of humanity. 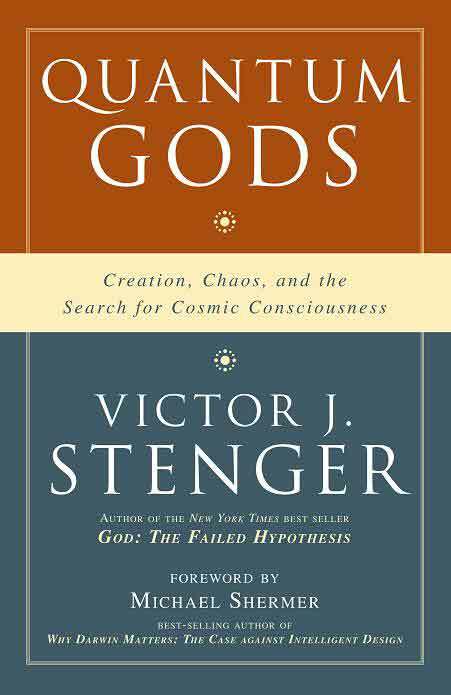 This is just the last of a series of Stenger’s books on science and its relationship with religion and pseudoscience. * For those interested in a scientific viewpoint on these subjects these books are a valuable resource. They deal with issues such as quantum theoiry and it misuse and cosmological issues like fine-tuning arguments, the “big bang” and the origin of the universe, the eternal universe and the multiverse. To some extent he briefly repeats some of the content of his previous books here – useful for those not wishing to read further. And arguably this current book is his best yet. But, for more detail I also recommend his other books. In Fiddling with “fine-tuning” I discussed the way theologians and philosophers of religion have used claims of fine-tuning of the cosmological constant erroneously. That they have taken the fact that the value of the measured cosmological constant is 120 orders of magnitude different to the value of vacuum energy used to explain it. This has been described as the “worst calculation in physics history.” But never mind, these apologists have just utilised the huge mistake to claim that the cosmological constant is fine-tuned to 1 part in 10120! So there god must be responsible. This is what happens when you use scientific knowledge opportunistically. Like a drunk uses a lamppost – more for support than illumination. Because the problem with the theological approach is that there is no interest in understanding the world around us – just in using science to support any argument they can drag up to “prove” the existence of their particular god. Mind you, some non-theists also find the fine tuning concept beguiling. And they can also uncritically accept some of the fine-tuning claims that circulate. The idea that many of the physical and cosmological constants in our universe are extremely delicately balanced to values necessary for life to exist. The so-called anthropic principle. 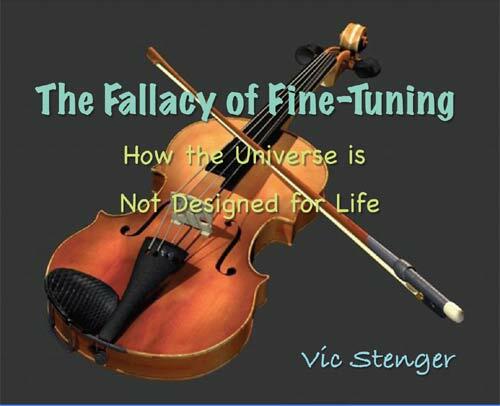 So, Victor Stenger’s new book The Fallacy of Fine-Tuning: Why the Universe Is Not Designed for Us will be very useful for anyone attempting to check out these arguments by actually considering the science. He describes the physical and cosmological background to the constants, or parameters as he prefers to call them, usually used in fine-tuning arguments. And then he considers, one by one, just how valid – or invalid – the fine-tuning arguments are. Here I will just deal with two “fine-tuned” constants – the “Hoyle resonance” for carbon nuclei and the “nuclear efficiency.” I think they illustrate two common mistakes made in estimating the degree of fine-tuning. Hawking’s grand design – lessons for apologists? I managed to get my own copy of The Grand Design (co-authored by Stephen Hawking and Leonard Mlodinow) the other day. Talk about luck. I was on one of my rare visits to the big smoke and inquired at Borders. It had just come in that day and wasn’t yet on the shelves! Obviously I won’t comment in depth until I have read the book. I get the impression that I may find the discussions of philosophy more interesting then the physics, though. And I guess it is the philosophical aspects of the book which have provoked the most criticism, or at least the theological criticism. (Mathematicians and physicists like Peter Woit, of course are making their criticisms – but hardly making the newspapers with them – see for example Hawking gives up). 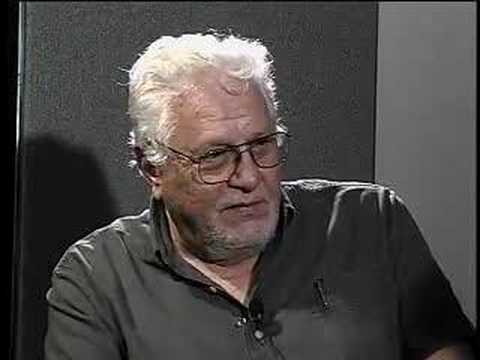 However, I am aware the Victor Stenger is reviewing the book and look forward to his views. He has some standing in cosmology and philosophy, and his writing in these areas are excellent. So, at least according to the reviews, Hawking and Mlodinow haven’t said much that physicists and cosmologists haven’t already heard before. However, thanks to Hawking’s notoriety, at least more people will now have heard that science has plausible answers to how the universe came about naturally without the need for a creator. Hopefully this will include those theologians and apologists who continue to wrongfully insist that modern science has demonstrated a need for God.